In this episode we interview Nathan Engelhardt, Supervising Animator at Walt Disney Animation Studios. Nathan was one of our pioneering instructors who helped shape the direction and vision of the school. He previously worked on serveral projects at Blue Sky Studios including; Horton Hears a Who, Ice Age: Dawn of the Dinosaurs, Rio, and Epic. His most recent project was Wreck-It-Ralph. We ask Nathan about his journey to becoming a feature film animator and about his experience working at Disney. Jack McBrayer - voice of Fix-It Felix, Jr.
We would like to welcome Blue Sky Story Artist, Mike Daley. 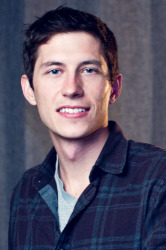 Mike, can you tell us a little about your background and how you became a Story Artist for Blue Sky Studios? In high school, I was direction-less in my career choices. I worked in a warehouse and was (on occasion) attending community college. In the art department, I took a few life drawing classes that exposed me to a professional art community and I got the idea that I could actually make a living drawing! WOW! It sounded a bit better than getting your fingers crushed in the warehouse. After that I was a bit more focused, and I transferred to Cal State Fullerton to pursue animation. Out of school, I struggled through a bad animation economy to intern at Cartoon Network and eventually to work in downtown LA at a small design studio. Life choices took me up to San Francisco, where I continued to freelance until I was hired at Leapfrog, a children's educational company. I worked as an art director there until once again I decided to move into freelance. I knew that I wanted to work in feature storyboards. I jumped on any and every story job that I could get! The pay was downright awful, but I needed to get the experience under my belt. This was on top of my animation work. I worked hard and was extremely lucky to eventually land an interview and a job with Blue Sky Studios as a story artist. Now I don't have to work hard at all (kidding, kidding)! Do you always board to a set script? What's the process for boarding to a script and what's the process to boarding without? I have found that there is almost never a set script. But sometimes, there will be a very specific idea in mind for a scene. Other times, it may just be kind of a vague idea. Since most of my work is in animation, there is a lot of leeway for the artist to add physical action and comedy. I find that it is easier to sell some ideas by showing in boards, rather than a description in the script. 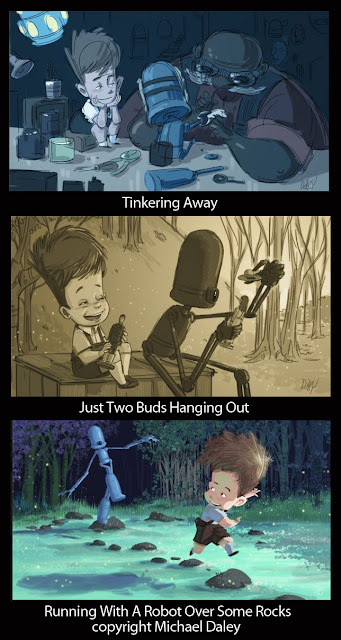 This is what makes the storyboard process for animation so fun, the amount of invention! If there is no script, then the process that I use is to get an idea for the scene by having a discussion with the producer, writer and director. Once a direction has been set on, I will usually draw out basic beat boards to outline the structure of the scene before diving into full-on storyboarding. It really depends on the scope of your scene, and how well formed your director's vision is for that scene. If the scene is short and fairly self explanatory, then I feel confident in just jumping into the boards themselves. How many Story Artists work on one film and how are the scenes broken up between you? There are anywhere between 1-10 story artists working on any one film at any given time, based on where the production is. Story continues to touch a film from beginning to end. A story artist may be pulled in at the very beginning of a film's production before there is a script to help block out the movie points. A story artist may be attached to the end of a project, boarding little bits here and there, adding jokes or little acting scenarios. I find that a lot of the other departments are surprised at how early and how late the story team is involved. The scenes can be broken up in many ways, based on a story artist's strengths, or lengths of scenes, or scope of assignments. Someone who is considered great at comedy may be put on a scene that needs to read as really funny. Or, if a story artist has exceptional draftsmanship skills, they may be placed on a scene with a lot of drama and or action. If it's a few scenes or a story thread that needs to be tracked, a few artists might be placed on a small team to tackle that problem. What are some key rules you have in mind when story boarding a scene/shot? This is a good question, and I think that it's always changing based on what kind of scene you're working on. A rule that I keep in mind, is to tackle the larger problems first, and then work to the smaller problems. This seems like a basic idea, but its easy to forget, especially when you're in the throws of production. I wold love to think that I always work in this way, but it's not always true. Sometimes you're forced to work outside of a set system that you've established. Keeping open communication with your team is important. Having a good back and forth with the director is key, and leaning on your fellow story artists for brainstorming ideas can be incredibly beneficial. You're constantly posting new artwork online. How often do you draw outside of work, and where do you find your motivation to keep it up? Hahaha, well, I have taken a bit of a hiatus from posting artwork online recently, my blog is full of cobwebs at the moment. But, as a freelancer this was my bread and butter. Employers and producers are always drawn to more self-motivated creative types. Updating a blog is a really a great way to keep in contact with the art community and to get jobs. I still draw a ton outside of work. It's not only my career but its also my passion. Nothing beats drawing an accurate caricature of a friend, or observing a moment on the subway and recording it with a simple sketch. I would say that the motivation comes from wanting to interact with the environment around me in a way that I know. You mentioned that a lot of your inspiration comes from the environment around you. You're able to take a situation, exaggerate it, and make a single image comic out of it. Did you always have this skill or is it something that came with a lot of work? That is a skill that I will always be working on, probably for the rest of my life. There's always room for improvement and growth, and that's what makes it so fun. There is always a direction to grow and expand. Thats probably a better answer for the motivation question above, haha. Of course, these skills do require work and dedication. It's like a muscle group that needs to be exercised. You've posted many images of a boy and a robot. Can you explain a little about this story and where it came from? Any future plans for it? It's artwork and exploration for a short piece that I was working on with a friend. It was a fun project because I had no idea where it was going and I was creating a few new pieces a week to push the story along. This was a very organic, and not necessarily a fruitful way of working, but it still was very fun and I wasn't bogged down with deadlines or scope. I'm taking a bit of a hiatus from that project, but it very well may develop into another idea. 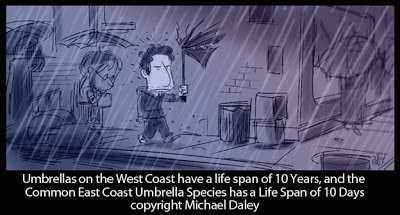 We'd like to welcome AnimSchool student and 11 Second Club December winner, Lucas Ridley. Lucas, can you tell us a little about your background and what made you want to become an animator? I began my career in animation a few years after I completed my undergraduate degree in forestry at The University of the South. Through high school and college I filmed sports that I was involved with, like rock climbing and after college I began making films about hang gliding. Some of these videos even won YouTube contests, like one from Hewlett-Packard. I did teach myself After Effects to help create these videos. At this same time, the job I had making ecological maps at a university ended as grant funding ran out. I moved into freelance film making full time and quickly realized I wanted some formal training in visual effects. I went to Vancouver Film School for that, but then fell in love with animation and switched to studying animation there. I've never considered it as a profession for me until then, which was only about two years ago. Now, I've been working in the industry for one year. But, what made me want to become an animator, was the unlimited potential of the medium. It was when I was learning traditional animation, that I discovered, I enjoyed bringing something slowly to life that didn't exist before I put my energy into it. What is your favorite animated film from your childhood? What current animated film would you say is your favorite? What makes these films special to you? When I think of animated films I watched in my childhood, I can always picture moments from The Sword and The Stone, Robin Hood, Pinocchio, Lady and the Tramp, Peter Pan and then later Toy Story and Jurassic Park. Currently, I really loved the animation in Tangled, I also enjoyed Toy Story 3, ParaNorman, Cloudy with a Chance of Meatballs, Rio (being a hang glider pilot it's a must), and all of Miyazaki's films are very imaginative too. Those earlier Disney movies I mentioned, just had a very dreamy quality to them and I remember having a connection to the characters and feeling like I was being taken on a journey. The newer films all have a range of qualities that makes them appealing to me, now that I see them through the lens of an animator. For example, I really enjoyed the 8-bit character's poppy animation in Wreck-It Ralph and before learning animation that might now have stood out to me. What artists would you say inspire you the most? Andy Goldsworthy, Giuseppe Penone, and Joe Downing (the painter) to name a few, there are also some great pencil tests that Andreas Deja posts on his blog that are very inspiring. I'm fortunate to work with many talented artists at Moonbot Studios right now too. We have weeklies where we can see all the work being done at the studio, even if we aren't on those projects. It's really inspiring to see what everyone is producing. We also have Sketch Tuesdays, that's a weekly dose of awesome artwork. It doesn't hurt that I can see Bill Joyce's Cintiq from where I sit at work, so I just have to glance over to see what he's working on to get inspired. Congratulations on winning the 11 Second Club competition this month. What kind of planning did you do before animating your winning shot, "A Sour History"? I took several days to let ideas simmer on how to interpret the audio. I didn't sit down and brainstorm, but just thought about it on my drive to work and spare moments during the day. I didn't actually do any thumbnails, although I know it would have helped clarify some ideas. I relied on shooting reference for my planning. I probably spent at least an hour with the audio on repeat, trying many different acting choices. I used the reference for my blocking pass and then once I moved into breakdowns and refining the animation, I left the reference behind. 11 Second Club Reference from Lucas Ridley on Vimeo. You created some nice contrast between your characters, both in appearance and personality. Can you tell us how you came up with these choices? Luckily, these two rigs already had some great contrast built into their designs, which made me excited when I heard the clip because I had been planning on using them anyway. The first rig is my friend's, Dylan VanWormer, and the second is AnimSchool's infamous Malcolm rig. I did add the Little Rascals-style hat to him to emphasize his childishness. I wanted to play off the existing contrast in the audio and have the acting performance reflect the juxtaposition of their personalities. These guys are two childhood friends and the first has grown up to be an adult, but the second guy is still desperately holding onto childhood. I wanted their animation to reflect that. 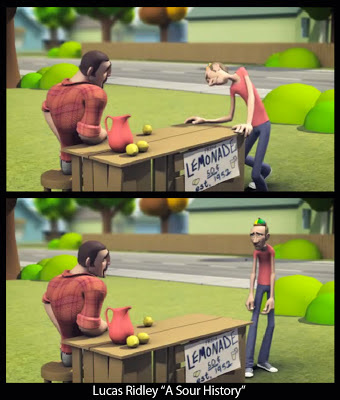 In shooting reference, I discovered it would be good for the first guy to be handling a lemon, to allude to the punchline moment of the wider shot, and to give him something to sit down and let go of as he made his final decision to 'move on.' This was a representative of his inner monologue that he was physically letting go of the lemonade stand in his hand and in his life. I would not have found that moment without shooting reference. When I shot the reference for the second guy, I tried to act as childish as possible. There are takes where I went way over the top to get in that mind frame and used the kind of childish attitude of "but I don't wanna!" as a subtext for motivating his performance. When you completed your 11 Second Club entry, did you believe you had a winning animation? Not at all, I'm surprised I won. There are still several things I know I could do to improve the shot. The last time I entered I placed 15th, so my only goal was to improve on that and have a learning experience. 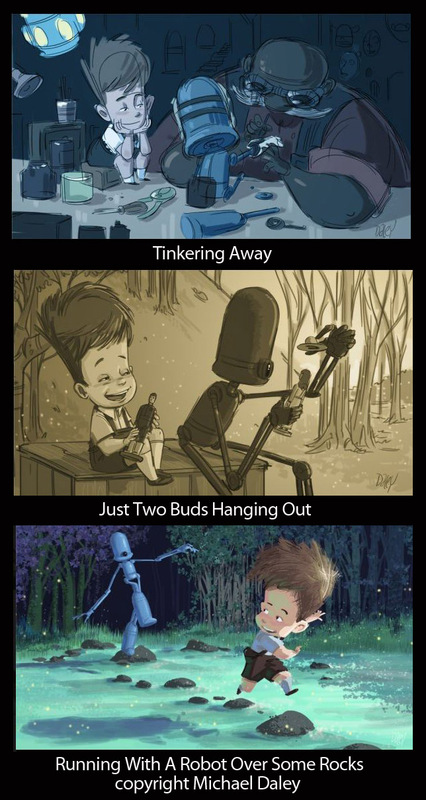 One of the most appealing aspects of animation to me is that it's an endless pursuit. There will always be something to learn and improve upon and I approach animation not to reach some end goal, but enjoy the journey of constantly trying to better myself in this craft. You took Body Acting with us at AnimSchool. What would you say was the biggest challenge you faced while animating your shot, "The Suitcase"? The biggest challenge was the actual pulling on the suitcase. I didn't take great reference of myself for that section. I constrained the hands to the suitcase and then, animated the suitcase so I could make sure it would pivot correctly and then I wouldn't have to counter-animate it, but it was kind of a puzzle to get those things to work together. I think that's where I could improve that shot. Tell us a little about your experience at AnimSchool. I was taking the class while I had a full-time animation job and they really complimented one another. It was great to have a mentor continually look over my shot and give it one-on-one attention from broad animation choices to the little details, like Tony suggested to give him a hat to add some texture to the animation. It's also a great community to be involved with, from the Facebook group, to the General Reviews, there's always something going on. After finishing that class I really felt like I had taken a big step forward in my approach and my understanding of animation. That suitcase shot was scary to me and it was great to have the support and guidance of Tony to work through that, as well as seeing all my classmates work, was very encouraging. There are many aspiring animators looking to improve their work. What advice would you have for them? Well, I consider myself one of those aspiring animators too, but I think Carlos Baena said at Siggraph that we all have 200 bad shots in us and the sooner we get those out of us, the sooner we can start doing good animation (Malcolm Gladwell's "Tipping Point" mentions the 10,000 hours threshold). I ascribe to this idea of putting in massive amounts of work and started on this path with the understanding that it's going to take time, I have to be patient about it and in time, I will improve. I think some people may be hesitant to tackle certain shots because they're afraid of failing, but those are going to be the shots you learn from the most. When I was first learning animation, I did every assignment twice because I failed on my first attempt. That sounds like a burden, but it's what really helped me overcome obstacles and gain a greater understanding of mechanics. So animate something that scares you, and don't be afraid to do things like the 11 Second Club, it forces you to a deadline and gets your work out there. JP Sans reviews AnimSchool student, Diego Collell's dialogue test from his Character Performance class. While going frame by frame, JP discusses the appropriate time to break joints in animation. This clip is from one of AnimSchool's General Review sessions. 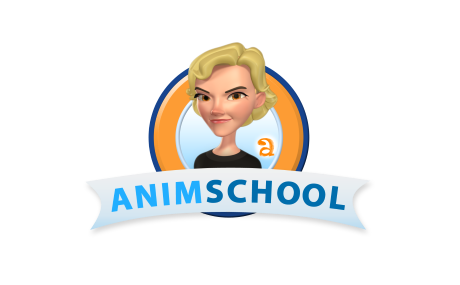 AnimSchool offers General Reviews for 3D modeling, rigging and animation students several times a week, for those who would like an extra critique. This term we're excited to add Supervising Animator, Hans Dastrup to our list of reviewers.